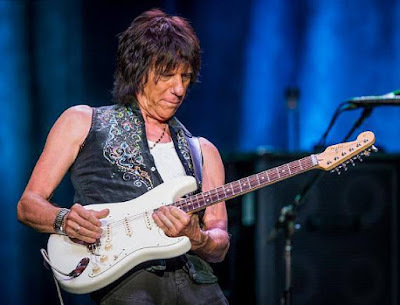 Jeff Beck has confirmed plans to release a new album and his first book this year. More details on the project will be announced soon. Beck will also publish his first book, “Beck01”, on July 12 via Genesis Publications. The limited-edition project explores Beck's passions for hot-rodding and rock'n'roll, and will be available in hand-bound leather and aluminum and personally signed by the guitarist himself. The package includes more than 400 rare and unseen photographs and items of memorabilia owned by Beck. In sync with news of the forthcoming album and book are newly-announced dates for Beck’s summer co-headlining tour with Buddy Guy. In addition to recently-announced shows in July, Beck and Guy have expanded the US run with more bookings in August, mixing up joint and solo dates for the guitarist. All of the new dates will go on sale Friday, April 8 except Kansas City, MO (on sale 4/16), Seattle, WA (on sale 4/22) and Saratoga, CA (on sale TBA).